"Sparking Joy in Your SPIRIT" ... Dr. Martin Luther King, Jr. said, "We must accept finite disappointment, but never lose infinite hope." That is a tall order considering the times in which we live. However, it is absolutely, positively, one hundred percent possible! And Dr. King knew that. Join Rev. 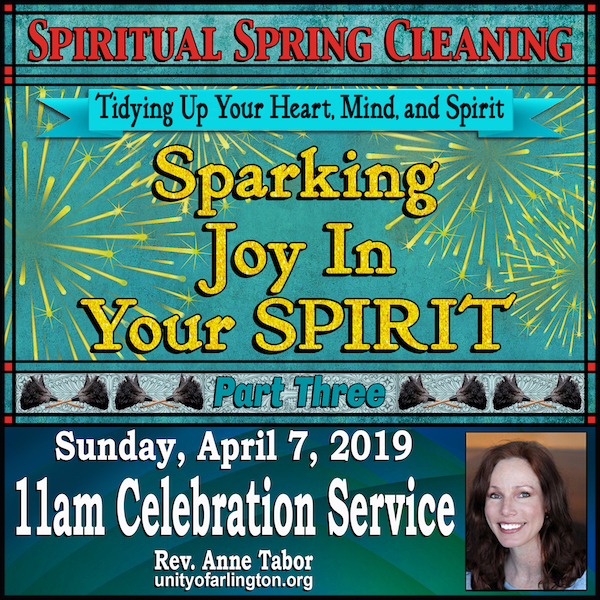 Anne for the conclusion of her three-part talk series, Spiritual Spring Cleaning: Tidying Up Your Heart, Mind, and Spirit, as we look at the transformational mechanics of how to spark infinite hope and joy in your spirit!